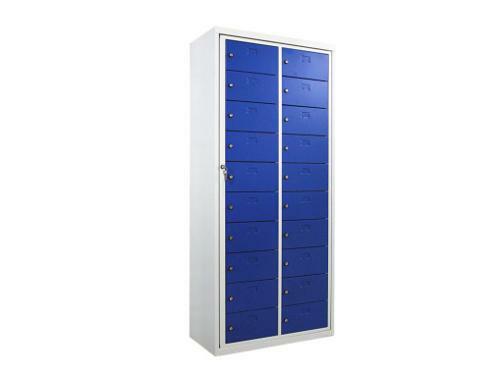 Industrial computer cabinets - TECHMARK L.OGŁOZA, S.ZDZIECHOWSKI SP.J. 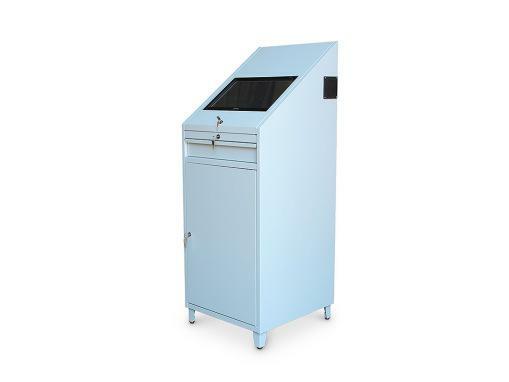 Metal computer cabinets are highly resistant to mechanical and thermal damage, which is why they are recommended in those places where computer hardware may be damaged directly (manufacturing buildings, warehouses, workshops, control stations, stores, customer service centers). 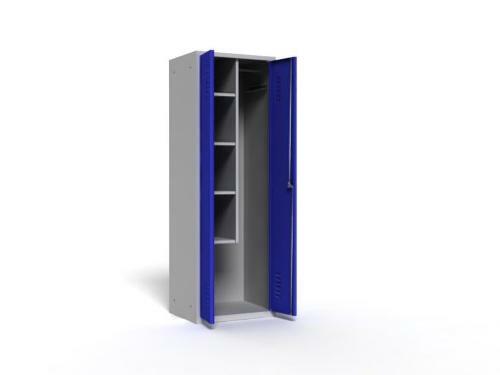 Our cabinets effectively safeguard hardware against dirt and provide maximum protection both against mechanical damage and against external conditions (e.g. dust, increased humidity, excessive temperatures, electromagnetic interference). 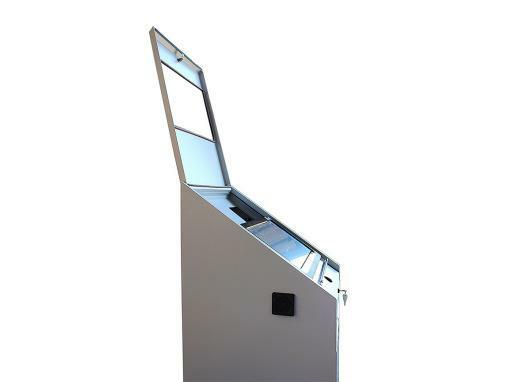 We design and make our cabinets taking into account the principles of ergonomics and functionality of a computer workstation. This makes them perfectly suited to any kind of hardware, ensuring easy installation, access and operation of all of the connected peripherals. 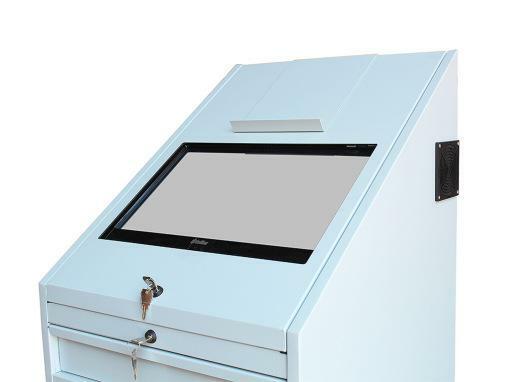 We make casings for different types of screens and cabinets for storage of any type of computer hardware and other devices (printers, scanners, readers, etc.). 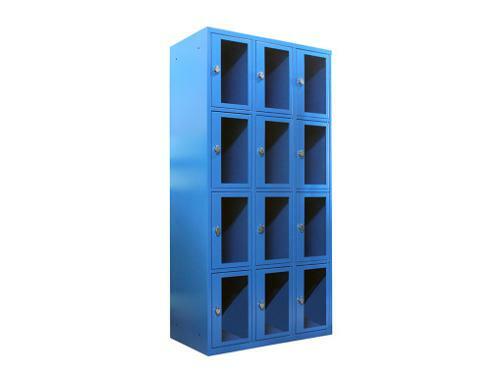 We offer cabinets with or without electrical connections. If the cabinet is fitted with electrical connections, it contains a power strip with cables. We can also connect a fan to cool the interior. 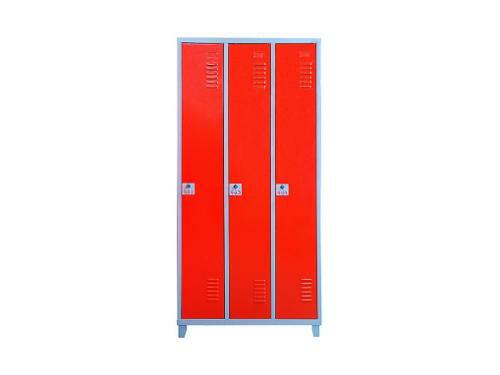 The rear walls contain holes for power cables, and the cabinet’s casing can be additionally fitted with various inlets, caps and glands that speed up the final assembly of hardware. 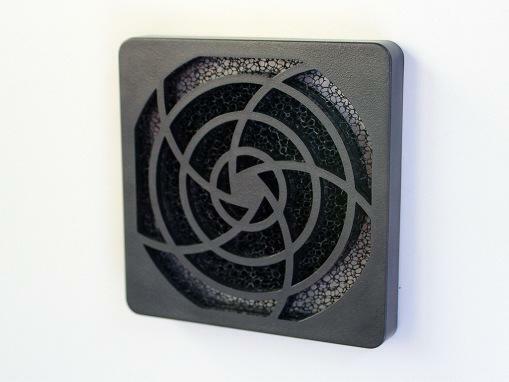 Anti-dust filters and seals mounted on the casing protect hardware against dirt. Cabinets can be divided into several, independently locked sections: - an upper section with a glass or plexiglass pane (anti-glare acrylic panel) and a swing-open cover, which can hold an LCD screen according to VESA (from 17 to 22 inches), - an extended drawer for a mouse and keyboard, - a cabinet with an extended drawer for the computer case and a space for a printer, - small service doors on the front or side of the cabinet. Our cabinets are fitted with cam locks and leveling feet. 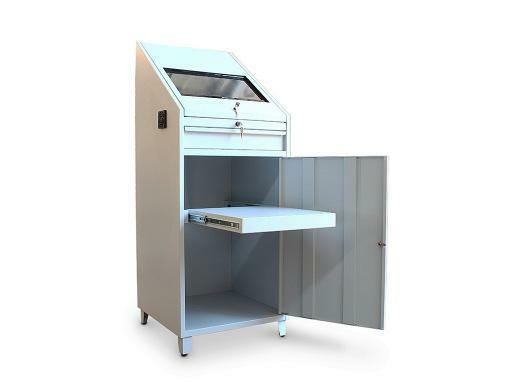 We also make bespoke cabinets on the basis of specifications submitted by the Client or technical documentation created by our technologists in response to Clients’ guidelines.